There are a million and one ways to do up your nails and watercolor nails is one of our favorite art. With this design, it reminds us of our favorite watercolor paintings or our own childish attempts at art as children. Looking at watercolor nails, one can appreciate the almost-random art inherent in the brush strokes and marbled nail polish. Watercolor nails are light, dainty, and quite unique. There are many techniques in making watercolor nails. Two of them are applying different shades and colors of nail polish using a makeup sponge or saran wrap. Try freestyling to create unique nail designs. More on this next time when we write up a tutorial! In the meantime, check out what you can do with watercolor nails. 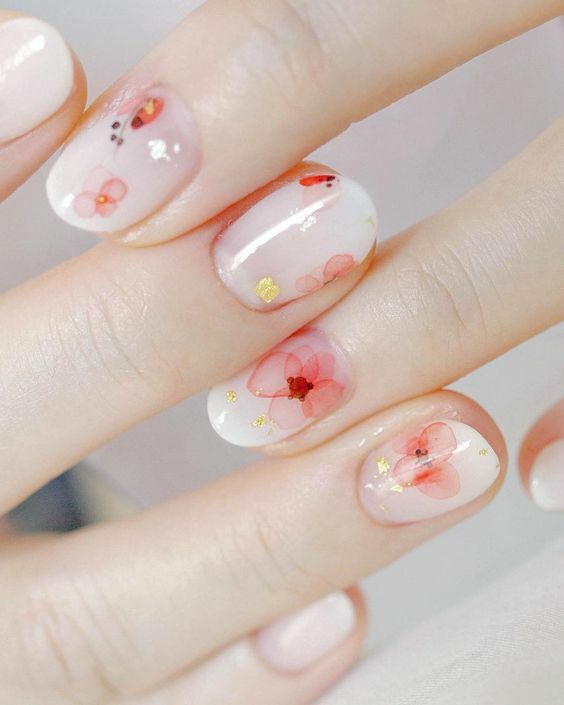 We’ve curated some of the best watercolor nail designs below. You’ll find abstract designs, mosaics, colorful marbled effects, and fragile flowers and scenery. Choose your pick and watch out for our tutorial!